"In 1997, I was watching "The X-Files," going to college, and using floppy disks in computer class. In 1997, Apple was showing off with the Twentieth Anniversary Macintosh (also known as TAM), a sleek and imaginative take on the personal computer." Hurry though, the auction ends tonight! 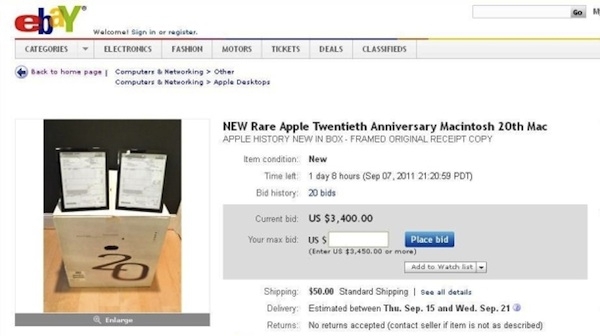 I think I'd rather have a couple MacBook Airs though. Or a MacBook Air and one of those fancy new displays!